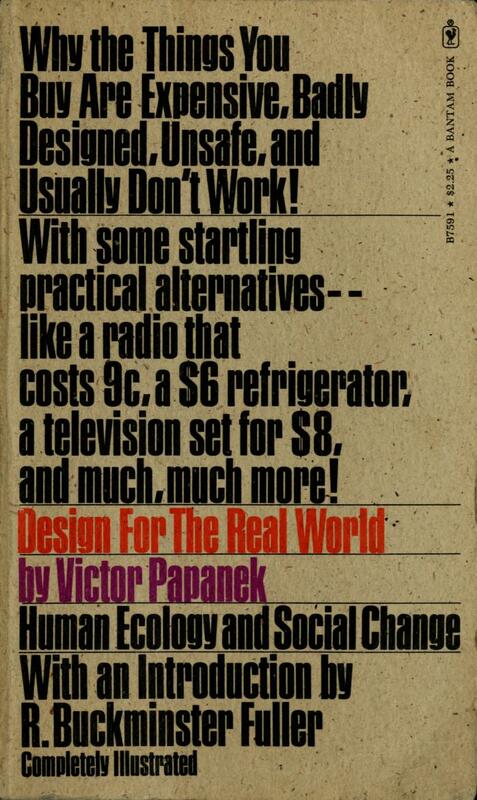 Reviews: Jackson (Journal of Design History, 1993), Johnson (Designophy, n.d.), Jepson (n.d.). Commentaries: Rawsthorn (The New York Times, 2011), Hawthorne (Metropolis Magazine, 2012). See also Bisociation Tool – Victor Papanek’s “Paper Computer”, 2004. “In 1957 a few experimental European groups stemming from the radical tradition of dadaism and surrealism, but seeking to avoid the cooption to which those movements succumbed, came together to form the Situationist International. The name came from their aim of liberating everyday life through the creation of open-ended, participatory “situations” (as opposed to fixed works of art) — an aim which naturally ran up against the whole range of material and mental obstacles produced by the present social order. Over the next decade the situationists developed an increasingly incisive critique of the global “spectacle-commodity system” and of its bureaucratic leftist pseudo-opposition, and their new methods of agitation helped trigger the May 1968 revolt in France. Since then — although the SI itself was dissolved in 1972 — situationist theories and tactics have continued to inspire radical currents in dozens of countries all over the world. 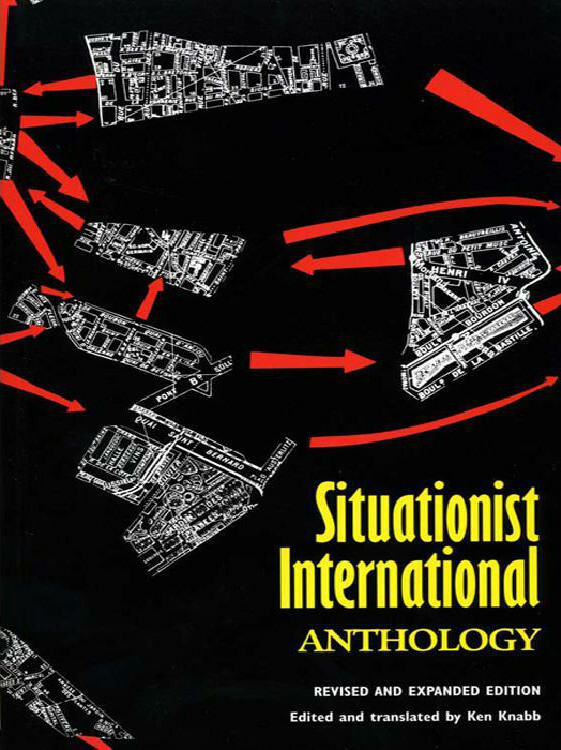 The SI Anthology, generally recognized as the most comprehensive and accurately translated collection of situationist writings in English, presents a chronological survey of the group’s activities and development as reflected in articles from its French journal and in a variety of leaflets, pamphlets, filmscripts and internal documents, ranging from their early experiments in urban “psychogeography” and cultural subversion to their lucid analyses of the Watts riot, the Vietnam war, the Prague Spring, the Chinese “Cultural Revolution” and other crises and upheavals of the sixties. No copyright. Any of the texts in this book may be freely reproduced, translated or adapted, even without mentioning the source. 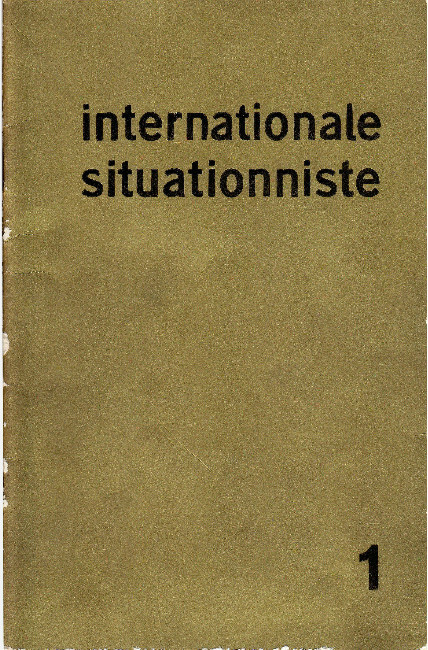 See also Internationale situationniste journal, 1958-69. L’Internationale situationniste produit ses travaux théoriques dans sa revue Internationale situationniste. La revue fut également rédigée par Guy Debord, Mohamed Dahou, Giuseppe Pinot-Gallizio, Maurice Wyckaert, Constant, Asger Jorn, Helmut Sturm, Attila Kotanyi, Jørgen Nash, Uwe Lausen, Raoul Vaneigem, Michèle Bernstein, Jeppesen Victor Martin, Jan Stijbosch, Alexander Trocchi, Théo Frey, Mustapha Khayati, Donald Nicholson-Smith, René Riesel, René Viénet, etc. 12 numéros furent publiés entre 1958 et 1969. Cette revue était un terrain d’expérimentation discursif et également un moyen de propagande. Numéro 1, Juin 1958, 32 pp. Numéro 2, Décembre 1958, 36 pp. Numéro 3, Décembre 1959, 40 pp. Numéro 4, Juin 1960, 40 pp. Numéro 5, Décembre 1960, 52 pp. Numéro 6, Août 1961, 44 pp. Numéro 7, Avril 1962, 56 pp. Numéro 8, Janvier 1963, 68 pp. Numéro 9, Août 1964, 48 pp. Numéro 10, Mars 1966, 84 pp. Numéro 11, Octobre 1967, 72 pp. Numéro 12, Septembre 1969, 116 pp.